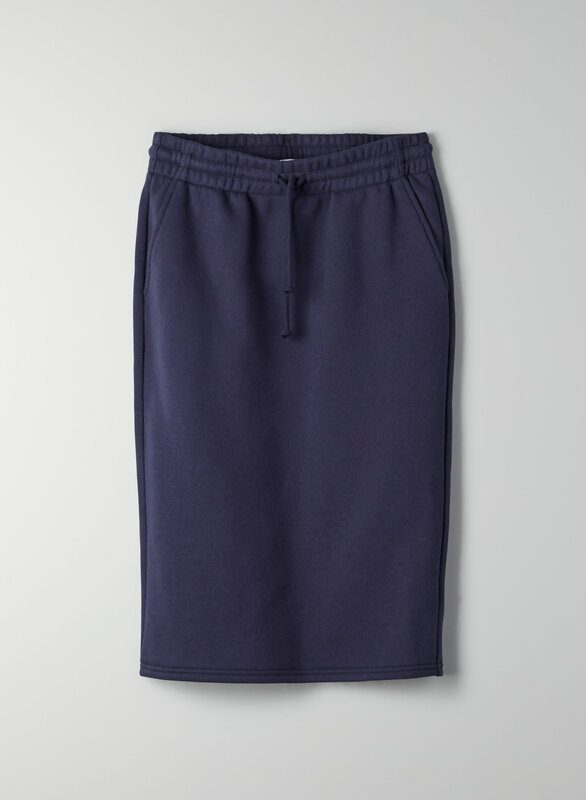 The Cariboo skirt's throwback silhouette references '90s sportswear. It's made with soft, comfortable cotton fleece. Material so soft around the waist band and the fleece lining is divine. Fits true to size. Adorable with a pair of sneakers and a crop top.So glad I purchased it.